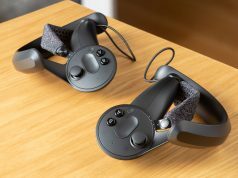 Valve has released the 1.1.3 update to the SteamVR SDK, and along with it comes a host of long-awaited improvements such as Motion Smoothing, easier access to Valve’s custom controller keybinding utility, and a few more bits and bobs that should make at least a few people happy. 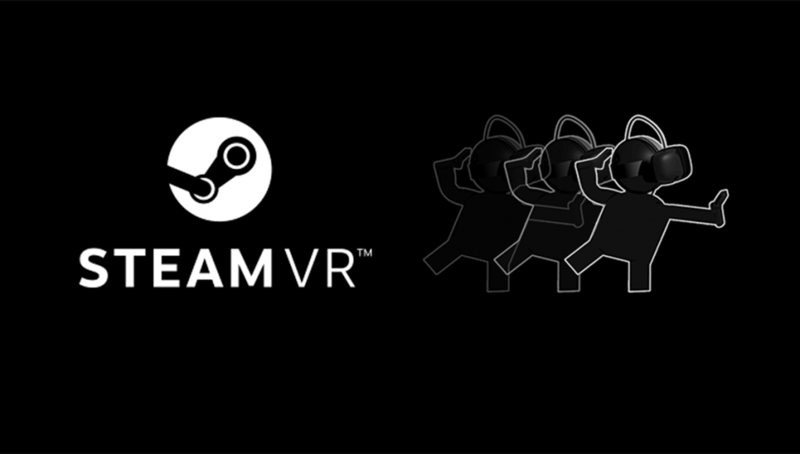 Previously available via the SteamVR beta branch, now all HTC Vive users will have default access to Motion Smoothing, the company’s version of Oculus’ Asynchronous Spacewarp (ASW). When engaged, the utility uses previous frames to synthesize new frames during gameplay, allowing VR applications to chug along while running visibly smoother and more comfortably even when your computer struggles and begins dropping frames. Long story short: Motion Smoothing halves your framerate to 45 fps when the system dips below 90 fps, inserting a synthetic frame that’s calculated quickly enough to serve to the headset where a dropped frame would otherwise fit. It’s not a cure-all, but a welcome solution for HTC Vive users with lower-spec computers. Like Valve’s Motion Smoothing, Oculus’ ASW has made a significant difference for users at, or right on the edge of the minimum spec, letting them play games with a degree of comfort that wasn’t possible beforehand. Just like in the beta, users can always turn it off by going to ‘Settings’ > ‘Video’ or ‘Settings’ > ‘Applications’ to specify when it should be enabled. Valve’s Motion Smoothing tech only works with HTC Vive and HTC Vive Pro; both Oculus Rift and Windows VR headsets have their own driver-specific techniques for doing this. Reminder: Motion Smoothing is only available for users running Windows 10 with an NVIDIA GPU currently. The company hasn’t given an ETA on when to expect support for AMD graphics cards. There’s also good news for SteamVR users who make regular use of Valve’s key binding utility, which lets you map custom keys and buttons for any controller regardless of whether it has official support or not. The UI is now available on the desktop application, found under the ‘Devices’ sub-menu in the ‘SteamVR’ pop-up utility window. 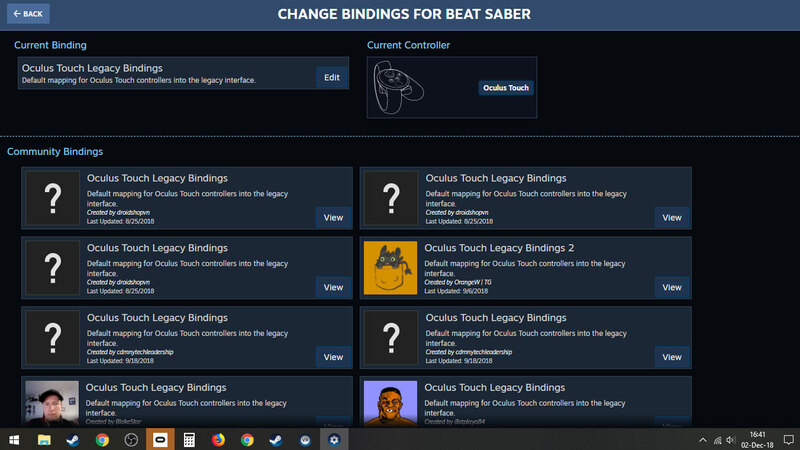 Users can also rename actions for applications which do not yet have native SteamVR Input support, and create simulated actions for trigger pulls or trackpad clicks. As stated in the OpenVR github changelog, native support for VR treadmills is now also live. According to Valve’s Jemery Selan, SteamVR now lets a driver specify that a device is intended to function as a treadmill. Skeletal Input, or Valve’s developer-focused set of lifelike skeleton-based animations for Knuckles, Vive wands and Oculus Touch, has also been improved in the 1.1.3 update, bringing an improved hand pose used in the ’empty hand’ range of motion to all of the aforementioned controllers. The OpenVR changelog referenced above also holds a few interesting bits of info here too, as Valve has classified its Skeletal Input into three levels of interaction: Estimated, Partial, and Full skeletal tracking. You can check out the full list of updates in SteamVR 1.1.3 here. I found motion smoothing is best left off. It uses more GPU than re-projection, so if it’s on, dips below 90FPS happen more often. Shut it off, turn down SS to the right number and stay our of re-projection more often. It also makes artifacts that can be distracting. Sometimes I got some weird artifacts on my notebook(1070)/Rift. On my desktop(1070) everything runs fine. The artifacts on my notebook seems like some “air distortion”… Just like hot air in desert. Now I got a clue about the reason. Same here… all of my current VR projects developed this effect, the lower the FPS the worst the effect. Can be seen clearly when teleporting with the steam fade out option, and when waving the controllers around in front of things the “air” around the controller is distorted. I have the same effect playing Poker Star VR. It’s very disturbing and I’ve had to disable motion smoothing as a result (Steam VR Settings – Video – Enable Motion Smoothing). I tried the beta motion smoothing on DCS World and it made a difference once in the air. On the ground at a busy airbase it was too much for even motion smoothing to handle. I still get jumpy tracking and some occlusion when in SteamVR, I installed Opencomposite, and wow! What difference! Thanks for linking this. I’m going to try it out when I get home.